New Delhi: Quashing the petition filed by leading drug maker Abbott, that wanted to stall the CCI probe into alleged carterlisation to fix the prices of a diabetes API drug, Vidagliptin, the Delhi High Court held that there was no merit in the plea. The CCI probe was started after a ” whistleblower employee” of the Company alleged that the US drugmaker along with the 3 other pharma giants namely USV, Emcure and Novartis had colluded in an” agreement” to control the prices of the oral diabetes drugs containing Vidagliptin. A cartel is a group of apparently independent producers whose goal is to increase their collective profits by means of price fixing, limiting supply, or other restrictive practices. The whole controversy started when in 2017 National Pharmaceutical Pricing Authority, Department of Pharmaceuticals (NPPA) requested the CCI to analyse the alleged anti-competitive agreement between four leading pharmaceutical companies, namely, Novartis India, the petitioner (Abbott Healthcare Pvt. Ltd.), USV Ltd. and Emcure Pharmaceuticals Limited. 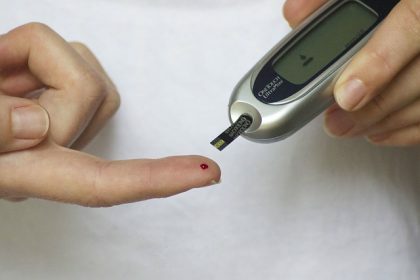 The allegation against the said manufacturers is that they were controlling the prices of the oral diabetes drugs containing the Active Pharmaceutical Ingredient (API) Vildagliptin. In addition to the pricing data furnished by NPPA, the CCI had also received an anonymous e-mail enclosing therewith an e-mail dated 29.07.2016 purportedly sent by one of the employees of the petitioner, which indicated that there was an understanding to maintain the price of drugs across the country. Medical Dialogues team had earlier reported that the whistleblower contended in his letter to the NPPA, CCI and the Health Ministry that Novartis controls the pricing structure that is followed by the license holders and the drug prices are matched to the lowest decimal. Though there is no written communication, these companies also synchronise every price change, it was alleged. Based on this CCI began its probe into the matter. Abbott claiming that the said e-mail is a forgery and further, the data provided by NPPA in its letter is also inaccurate filed an application for review and recall of the impugned order dated 22.12.2017 with the CCI. CCI after going through NPPA’s submission, rejected the application. The CCI heard the parties and passed the impugned order dated 29.10.2018. As far as the admissibility of the e-mail which is alleged to be forged is concerned, the CCI was of the view that the DG could, during the investigation, employ appropriate tools to test the veracity of the said claim. As far as the issue as to the veracity of the data provided by the NPCC is concerned, the CCI observed that the fact that there had been a price increase was not rebutted although there may be some discrepancy between the dates on which such price increases were effectuated/implemented. The CCI was of the view that since the allegation against the petitioner and other pharmaceutical companies was with regard to co-ordinated and concerted action, the same was required to be examined by the DG. Before the Delhi HC, the company once again argued on the said decision of CCI without considering the petitioner‟s contentions in this regard, the CCI could not have formed a prima facie view, which it was required to form in terms of Section 26 of the Act. As explained by the Supreme Court in Competition Commission of India v. Steel Authority of India Ltd. and Anr. : (2010) 10 SCC 744, the order passed by the CCI under Section 26 (1) is, essentially, an administrative order and akin to a direction from one wing of the department to another. Under Section 26(1) of the Act, CCI can at best direct investigation and this does not amount to an adjudicatory function.